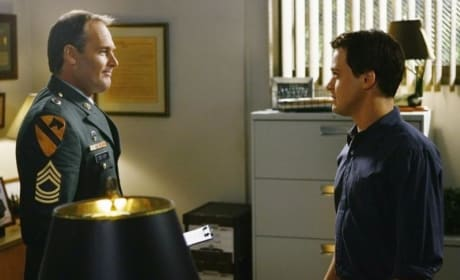 George decides he needs a purpose, and signs up for the Army. But little does he know, tragedy strikes. 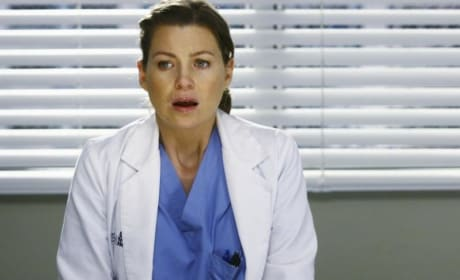 After all that happens at Seattle Grace in this episode, one can certainly understand why Meredith would be upset. Alex and Izzie don't know what the best course of action is going forward, and it's hard to blame them. 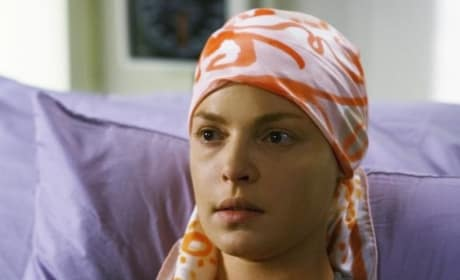 Izzie Stevens may be bald, but she's still hot in the eyes of Alex Karev, and all of us. 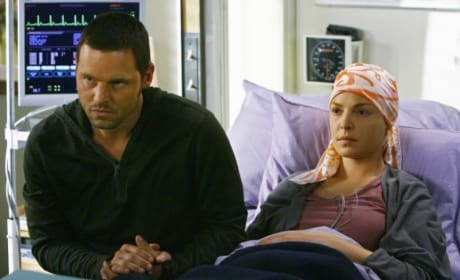 Meredith tries to help Izzie remember images while Derek runs tests. 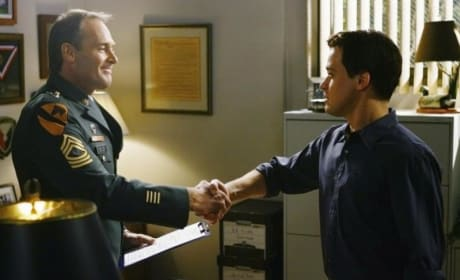 George signs up for the Army, inspired by Hunt and by a patient named Charlie. But tragedy awaits him before he even ships out. Is this patient going to be revived, or is it already too late? Derek kisses Meredith in the halls of Seattle Grace. Aww. 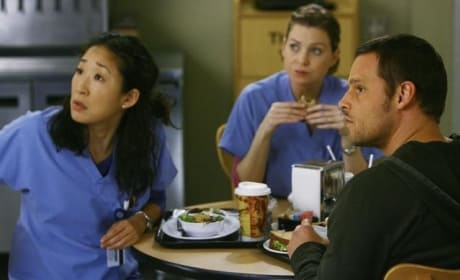 Meredith, Cristina and Alex anxiously await the latest update on Izzie's condition. Is this the end of the line for Izzie's cancer-afflicted patient friend? Sadly, it would appear so. 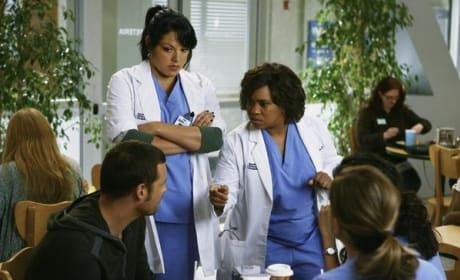 Miranda Bailey tells Alex how it's going to be as Meredith and Callie look on. Okay, so some nicknames are better than others. But we love Lexie and Callie so much, we had to try.